Oscar-winners Helen Hunt and William Hurt pair up for 2018’s The Miracle Season. Set in Iowa City circa 2011, West High School’s girls volleyball team plays at a high level and finds a great deal of success. Tragically, star player Caroline "Line" Found (Danika Yarosh) dies in a traffic accident. Encouraged by coach Kathy Bresnahan (Hunt) and Line’s father Ernie (Hurt), the team strives to overcome this loss – and the odds. Spoiler alert: they do. Honestly, that’s only a spoiler if you’ve never seen an inspirational sports movie. Sure, some – like the original Rocky - conclude with the hero’s defeat, but they remain awfully unusual. It takes a brave movie to eschew the usual crowd-pleasing finale, and Season isn’t that movie. Of course, it’d have to ignore facts to submit West to defeat, but even if the flick came from fictional sources, it lacks the conviction necessary for a potentially downbeat ending. Pretty much everything about Season seems “by the numbers”. 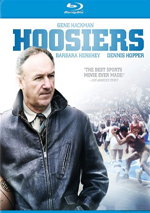 The movie touches on every sports flick cliché you can find and manages little to nothing new. Hurt and Hunt create some integrity in their underwritten parts, but the younger cast members fail to add much – and in the case of Yarosh, we get a liability. Because her character dies, Yarosh departs the film after about 20 minutes, so we need to bond with Line quickly. Her spirit inspires and pervades the rest of the story, so if we fail to connect to her, the movie will falter. I guess Line is supposed so seem charismatic and infectious, but instead she comes across as pushy, arrogant and obnoxious. This occurs largely due to a manic, overcaffeinated performance from Yarosh, as she makes Line consistently annoying. Season tries to touch on a mix of topics, but it spreads itself too thin. We get a scattered story that lacks the substance it needs to succeed. The movie also ladles on the sentiment. Not a mushy moment goes unexplored, and narrative/character elements fail to enjoy real development. I think the basic story of Season enjoys merit, but the film doesn’t go anywhere beyond the level of cliché. A movie that leans on melodrama and mawkishness an awful lot, Season feels thin and forgettable. Footnote: photos and video footage of the real people behind the movie’s characters run through the end credits. The Miracle Season appears in an aspect ratio of approximately 2.40:1 on this single-sided, double-layered DVD; the image has been enhanced for 16X9 televisions. Within the parameters of SD-DVD, this became a mostly positive presentation. Don’t expect fireworks from the film’s Dolby Digital 5.1 soundtrack, as we got a mix heavy on a dialogue. Volleyball matches enjoyed decent spread and involvement, but the majority of the movie remained restrained. A handful of extras appear here, and we find a featurette called Star Player. It goes for two minutes, 43 seconds and offers notes from real-life participants Kelley Fliehler, Ernie Found, and Kathy Bresnahan, director Sean McNamara, and actor Danika Yarosh. “Player” tells us a little about story and characters. It’s nice to see some of the people behind the movie, but “Player” lacks substance and exists as a promo piece. Four Promotional Trailers appear: “Live Like Line” (1:02), “Faith” (1:02), “Strong” (1:02) and “Triumph” (1:07). These feature Fliehler, McNamara, Yarosh, Found, Bresnahan, Found’s friend Ernie Etre, and actor Erin Moriarty. A few minor notes pop up but these tend toward advertisement more than anything else. Next we find a Gallery. It offers 11 shots from the film as well as behind the scenes bits. This seems like an insubstantial collection. In addition to the film’s theatrical trailer, we get two clips under Sneak Peek. The domain presents promos for The Greatest Showman and Goodbye Christopher Robin. A standard-issue inspirational story, The Miracle Season seems as trite as its title. Despite a fairly good basic narrative, the film fails to rise above the level of mediocrity. The DVD provides perfectly acceptable picture and audio along with minor supplements. I don’t actively dislike Season but it leaves me unenthused.